25 years of business experience working for global companies such as Procter & Gamble, SC Johnson, Campbell´s in Germany, the USA and Portugal. Marketing Director und Finance Director at P&G. During the last 8 years General Manager at SC Johnson and Campbell´s leading business units in Germany and Central Europe. Lecturer at the RWTH Aachen University and the University of Hamburg, Germany, in Innovation Management and Marketing. Diploma and Ph.D. in Business Administration from the University of Köln (Cologne), Germany. Master of Science in Business Studies from the University of Warwick, Coventry, UK. 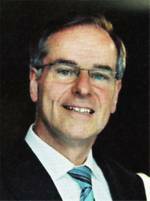 Dr. Wentz has published various books and articles on business subjects. 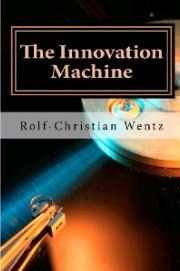 „Die Innovationsmaschine“ (in German) and “The Innovation Machine” (in English) are his most recent books.